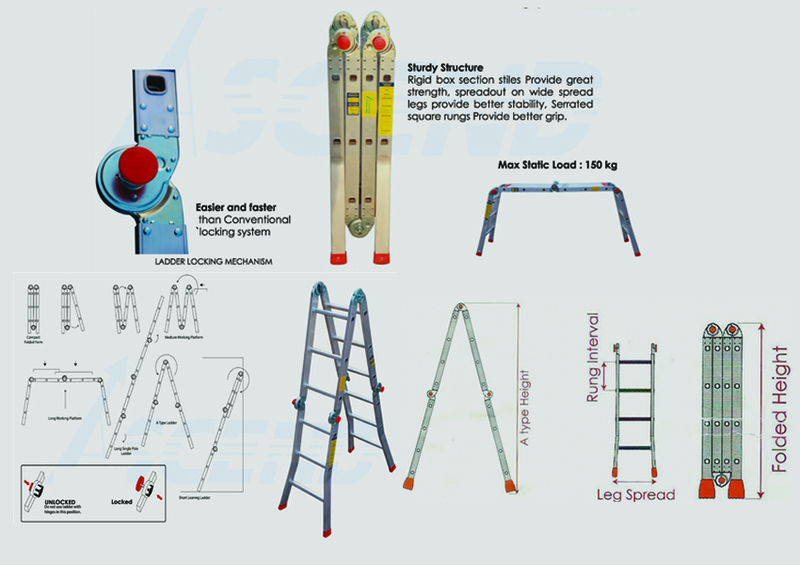 Designed for wide range of application demand from household to DIY works. Configurable working mode with quick transformation hinge. One ladder does it all!!! Provides high speed transformation and rigidity eliminates conventional spreader. Wide range of application. 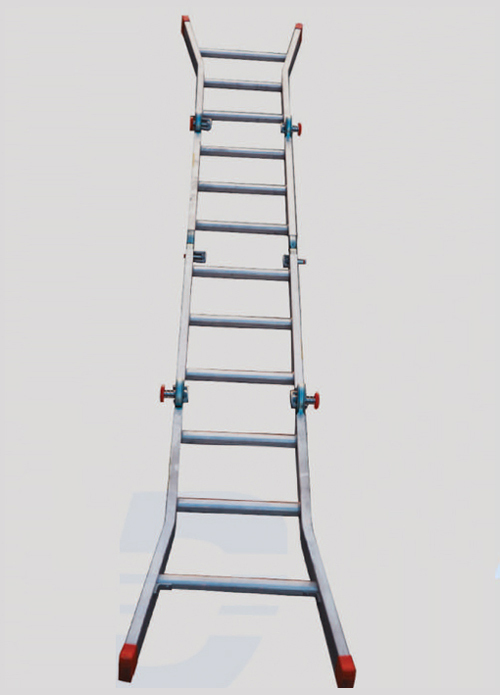 Ladder can be formed into A Frame, Step Straight Ladder, Work bench, stairwell ladder, and up to 10 different configurations. When folded, it is compact enough to be stored or transported with ease. Provide stability and versatility for the most demanding jobs. 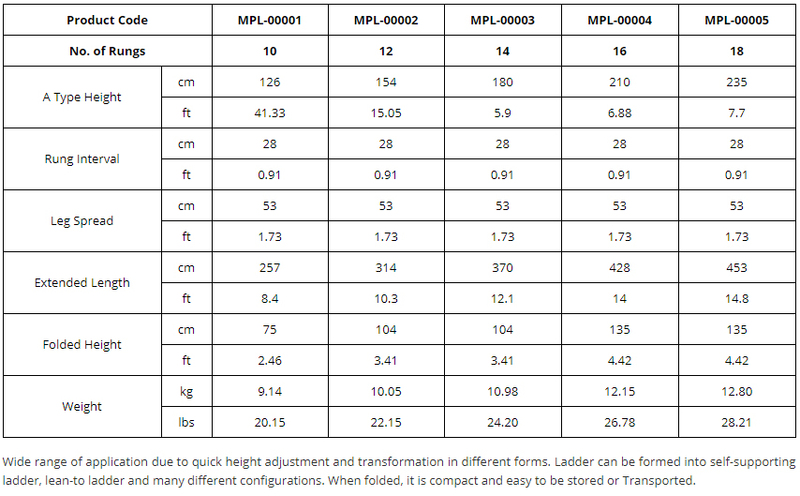 Rigid box section stiles provide superior strength, spreaded legs provide better stability, serrated anti-slip square rungs complete the rigid structure construction. High grip unique profile design ensures highest level of grip on all forms of functional mode.